The all natural product technique gardening or organic gardening has been very popular now specially to all health buff people and the growing population of vegetarians and it is not only because they want organic gardening to be their happy, but, it caters to their new found healthy lifestyle. Vegetables and fruits grown organically is the healthiest way of producing foods whether for personal consumption or commercially. Because as many of us know, the vegetable and fruits are free of the danger of some chemicals that most of the earlier farmers and gardeners use. 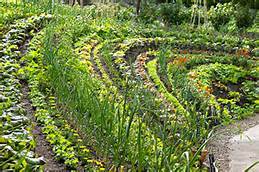 Gardeners tend to make their gardens the best organic garden in their places by building and designing where to place their plants according to gardening rules or from known expert gardeners. But though it may help you start your own beautiful healthy organic gardening, it is still up to you how you want to design your garden because you are not up to how your garden will look like, but how to make your plants healthy and how it will contirbute to your environment and healthy benefits it will bring. 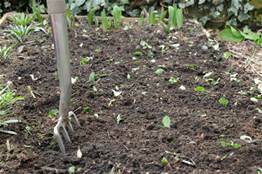 Green manure helps improving the overall quality of the soil in your garden. It retains the nutrients of the soil needed most by any plants specially vegetables. It also helps prevent the rotting and turn to humus. Green manuring is the process of growing specific plant material that gives something back to the soil. Winter rye and comfrey are examples of green manure. Comfrey is best for very deep root plants because using comfrey adds nitrogen, phosphate and other essential minerals the soil needed to help the plants get its nutrients. Winter rye is best for crops and plants that grow best in winter. Winter rye prevents soil from eroding. Compost helps improving the overall quality of the soil and is very rich in nutritious humus. Composting prevents water erosion and spreading of plant diseases. 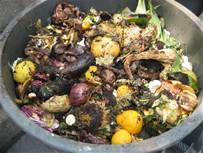 Compost is made from rotten organic material like weeds, wood chips, barks and scraps of vegetables and fruits. If you think that it is an organic material, you can use it for additional minerals and nutrients your plants needed. Collect all composting materials in a container, mix it. Always exercise the first mix first out pattern of mixed compost. The early compost materials are the first ones to be used for your plants. Just add the mixture on top of your garden soil so that its nutrents will be secreted by the soil and roots to distribute it to the plants. Mulching is the easiest way to prevent weed growth that is a no no to any gardeners and helps keep the soil from drying quickly. 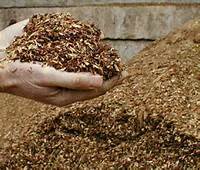 Wood chips, hay, dry grass are excellent organis materials you can use for mulching your garden. Just spread the mulch on the surface of your garden soil to prevent the drying from direct sunlight and keeps moisture to the soil. Companion planting has been practiced by many seasoned gardeners and knows what plant is friends with another plant. Plants also got to have friends to look for each ther. This practice is used to prevent diseases and pest that infest the plants. Plant companionship also helps in providing the right nutrients for other crops. All will agree, not only with the gardeners, but also the plants if they can speak, that garlic is every plants best friend. Garlic has the natural fungicide that helps preventing a variety of diseases and pests that might infect the other plants in your garden.